Rep. Joe Cunningham, D-South Carolina, walks to a closed Democratic Caucus meeting on Capitol Hill in Washington on Friday. 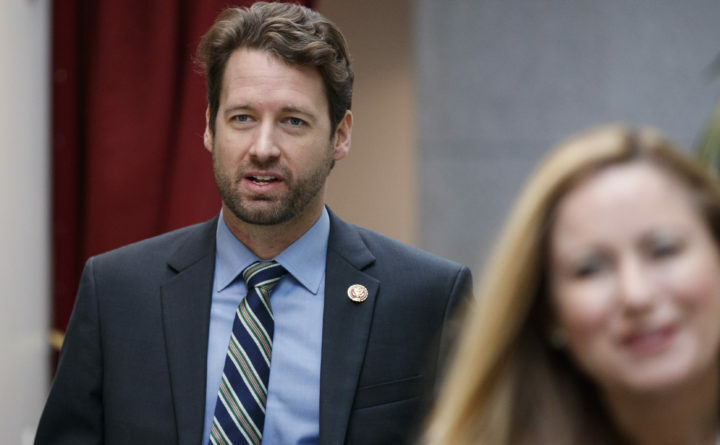 WASHINGTON — Freshman Rep. Joe Cunningham, D-South Carolina, made a rookie mistake Friday morning when he attempted to bring a six-pack of craft beer onto the floor of the House of Representatives. Cunningham laughed off the incident after he was stopped, according to a reporter on the scene. He later explained that he was trying to bring beer from local breweries in his home state to Rep. Peter DeFazio, D-Oregon, co-chairman of the House Small Brewers Caucus. Only water is allowed on the House floor. DeFazio was spotted on Capitol Hill later Friday with the beers in hand, which came from South Carolina’s Westbrook Brewing Co. and Coast Brewing. DeFazio is a major supporter of local beer, and he’s not alone. The Small Brewers Caucus included 234 members across 43 states as of July, according to its website. He said Congress should bend its ban on booze to accommodate craft beer. A spokeswoman for Cunningham did not respond to a request for comment on the incident Saturday. She told Charleston’s Post and Courier that the congressman brought the beer to the floor because he was rushing to catch a flight. Otherwise, she said, he would have sent it to DeFazio’s office. He’s not the first freshman to goof up the rules. When Rep. Conor Lamb, D-Pennsylvania, was new, he tried to bring a cup of coffee onto the House floor. House guards sent him to the coatroom instead. Even so, Cunningham’s faux pas brewed trouble with Republicans. Republican National Committee spokeswoman Mandi Merritt issued a statement to the Post and Courier that said the stunt showed Democrats weren’t serious about working with Republicans on border security. In another tweet on Friday, Cunningham said he would “never apologize” for promoting the local businesses.